Tom Hanks may have been on to something when he cracked into a coconut on Cast Away. According to Dr. Axe, coconut water comes from younger coconuts (before the water turns to coconut milk), and can actually be administered via IV, in an emergency, to help re-hydrate an individual. 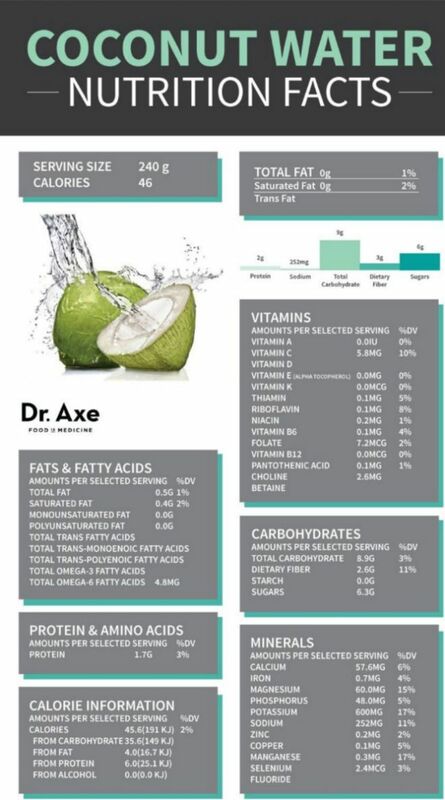 Coconut water is low cal: Coconut water may be a great substitute for sodas because it only contains 46 calories and 10 grams of natural sugar per cup, according to Dr. Axe. The same amount of Coca-Cola contains 90 calories and 25 grams of sugar, according to Calorie King. Coconut water is a good option for athletes: A serving of coconut water contains 600 milligrams of Potassium. This makes it a great option for athletes that need to balance out their electrolytes after a hard workout. These properties also help relieve muscle tension and reduce fatigue, according to Dr. Axe. Coconut water may lower cholesterol: Drink some coconut water and your heart will thank you. One study found that coconut water helped reduce cholesterol level. The study also learned that the rats that consumed coconut water recovered from heart attacks faster, according to Dr. Axe. Coconut water reduces stress: Coconut water contains high levels of magnesium and calcium. These nutrients are tied to lower stress and less muscle tension. In fact, according to Dr. Axe, magnesium is known as the "relaxation" mineral because it affects the parasympathetic nervous system, which is in charge of helping you wind down. Remember, unlike regular water, coconut water is caloric and contains sugar levels, so don't let this drink be a substitute for your regular water consumption. Coconut oil reduces inflammation: Dr. Axe reports that several studies indicate the use of coconut oil can reduce inflammation. Rub the oil directly on your swollen muscles to help reduce inflammation. Coconut oil improves digestion: If you're trying to lose weight or you simply want to ease some tummy troubles, coconut oil may help. Dr. Axe says that the oil helps your body absorb certain vitamins and can help clear ad bacteria out of your system. Coconut oil improves skin issues: Feel free to slather the coconut oil on your face and hands to help treat skin disorders. The anti-inflammatory properties work on the surface and beneath the skin. In addition, coconut oil contains antioxidants that can help heal the skin, Dr. Axe reports. Coconut oil can prevent tooth decay: Oil pulling is a popular technique used to help prevent tooth decay. Using coconut oil for the process will help clear off bacteria. Coconut oil contains loads antibacterial properties, which make it a top choice for this procedure. Coconut milk contains healthy fats: Coconuts are a fatty nut. However, the nut the contains fatty acid called lauric acid. Your body turns this acid into monolaurin which helps fight off disease and illness. Researchers believe that consuming coconut milk can boost your immune system, according to Good Food. 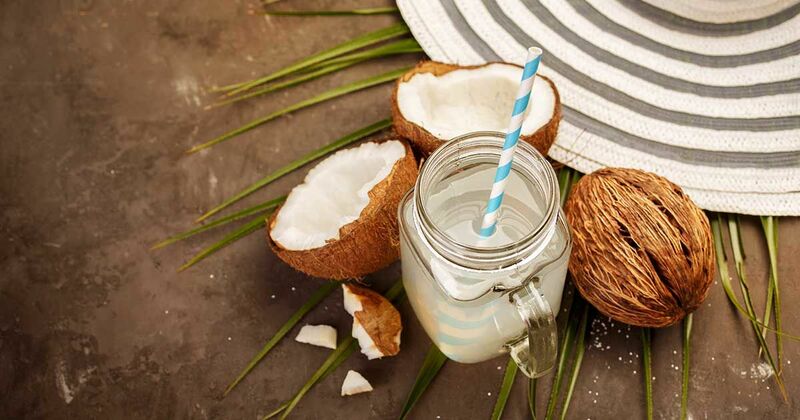 Coconut milk is high in minerals: Add a cup of coconut milk to your diet for a healthy dose of vitamins C, E, B1, B3, B5, B6, fiber, iron and magnesium. This nutty-flavored milk is a great substitute for cows milk and can even be used in baking and smoothie recipes, Good Food suggests. Coconut milk is high in calories, so consume in moderation! What is your favorite way to use coconut? Tell us in the comments below.